Pioneers in the industry, we offer belt type fruit blancher, frozen vegetable processing machine, rotary type vegetable blancher, screw blancher and frozen fruit processing machinery from India. 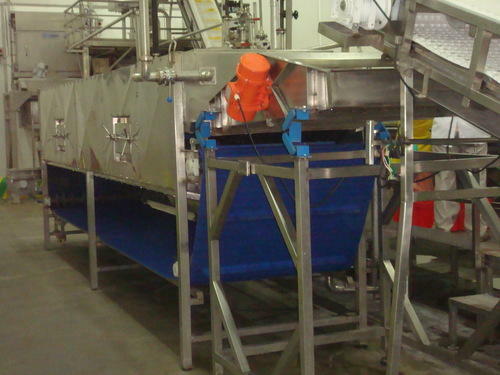 We are instrumental in providing our clients a comprehensive range of Belt Type Blancher for Fruit & Vegetable. It is used to inactivate the specific enzymes that can damage the product in the further process. The offered balancer is carried by a belt conveyor whose speed is adjustable by manual speed reducer to optimize the processing times according to the production needs. This balancer is meticulously tested on various quality parameters by our adept professionals. Provided balancer is manufactured by utilizing optimum quality raw-material and the latest technology by our experts. In line with industry standard, we provide this balancer in various customized options and at affordable prices. 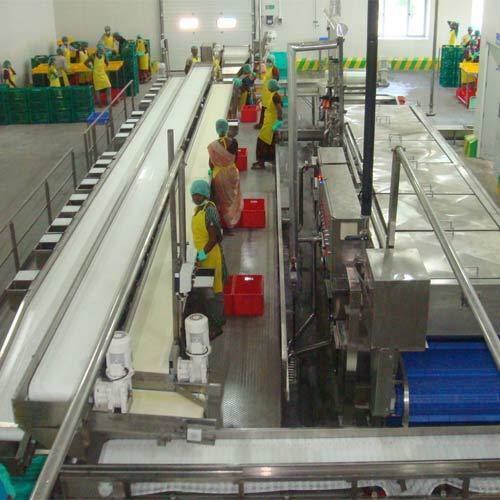 Owing to changing needs of the customers, we are engaged in providing large array of Fruit Processing Line. 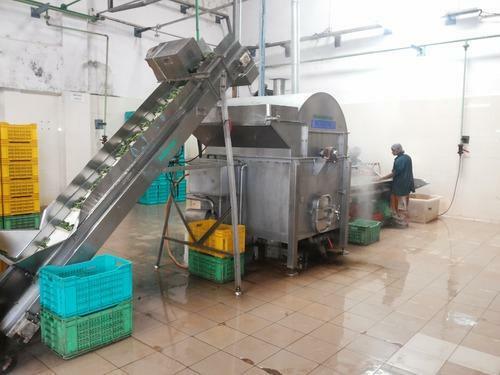 These Fruit Processing Line are used for processing the fruits using latest techniques. Our professionals manufacture the products to meet the choice of the customers. We provide sturdy and reliable Fruit Processing Line to our patrons. Our organization has successfully expanded its business in market owing to the offered elevated quality array of Rotary Type Vegetable Blancher. It is used to inactivate the specific enzymes that can damage the product in the further process. The offered balancer is manufactured utilizing superior quality raw-material and the latest technology. Moreover, a team of our quality controllers conducts a series of quality tests on the entire range to seek out any possible defect. This balancer is carried by a belt conveyor whose speed is adjustable by manual speed reducer to optimize the processing times according to the production needs. An automatic system verifies the water temperature and drives the heating system made by a steam group. In tune with industry standard, we provide the entire range of balancer in various customized options and industry leading prices. We offer wide range of Screw Blancher mainly used in Food Processing Industries, our range of Screw Blancher is designed in accordance with international quality standards & norms. 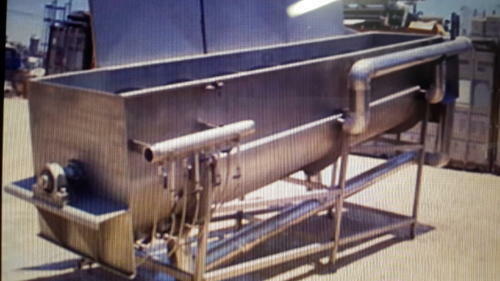 By passing steam, our Blancher is widely used before heating vegetables and fruits. In addition to this, our Blancher is known for its excellent performance, rigid construction, dimensional accuracy and low maintenance. We are an acclaimed name engaged in offering our precious clients a superior quality range of Frozen Fruit Processing Machinery. This machinery is manufactured using optimum grade raw-material and sophisticated technology in synchronization with industry standards. In order to ensure quality, the entire range is rigorously tested on various parameters by our quality controllers. Keeping in mind the diverse requirements of our clients, we provide this machinery in various sizes and specifications. Looking for “Frozen Food Processing Machinery”?